Vodafone has been on the rise ever since its merger with Idea Cellular. The telco has been in the talks lately for all the right reasons as it has been introducing various attractive offers, recharge plans and combo offerings. In its latest move, the telecom operator has launched a low-value recharge for its prepaid subscribers. This recharge will be beneficial for the subscribers who would like to access data for a day and apart from that, it comes with a very cliché name. Vodafone has introduced the ‘Filmy Recharge’ in its portfolio for the prepaid subscribers. Here are more details about the newly launched Vodafone Filmy Recharge which costs a meagre Rs 16. 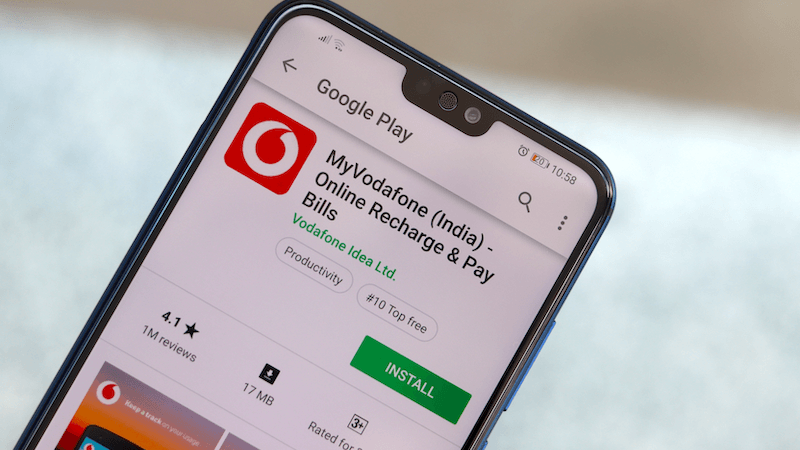 The new Filmy Recharge by Vodafone will retail for Rs 16 for the prepaid subscribers, and it won’t bundle any fancy things like SMS or talk time but will only bundle data. This new internet pack by Vodafone will offer 1GB 2G/3G/4G data to the subscribers for a day. As the name of the plan suggests, Vodafone has implied that with this recharge, users will be able to watch latest blockbusters and movies on their smartphones, although the pack is merely a data pack which blends in with other Vodafone prepaid recharge packs and doesn’t differ in any other way except for its name. Idea Cellular also introduced a similar Rs 16 plan to its subscribers. If you’re a Vodafone subscriber and you are interested in recharging your number with an internet pack of more value, then Vodafone also offers other options. There is an internet pack of Rs 29 which offers 500MB for 28 days, another pack of Rs 47 which offers 3GB data for one day, Rs 92 pack which offers 6GB data for seven days and subsequent internet packs with 28 days validity for Rs 98, Rs 49, Rs 33 offering 3GB, 1GB and 500MB data respectively. It is also worth noting that after a few months of keeping the subscribers devoid of talk time plans, Vodafone had reintroduced these plans in its portfolio. Initially, the telecom operator had done away with recharges of denominations like Rs 50, Rs 100 and Rs 500. The telco has also brought back the Rs 100 and Rs 500 talk time recharge to the delight of subscribers. In addition to that, the telco has already got other talk time recharges worth Rs 10, Rs 1,000, and Rs 5,000. However, the catch is that these plans do not come with lifetime validity and most are limited to 28 days. Notably, among these recharges, the ones like Rs 100, Rs 1,000 Rs 500, Rs 5,000 offer full talk time. Off topic. Finally they started to install the antennas. It’s time to port. The site has fiber backhaul!! . It’s an usual triband (850/1800/2300 MHz) Jio site. I can’t believe my eyes !!! It was incomplete for past 1 year. Planning to port my Airtel no to Jio, Vodafone no. to Airtel. As Vodafone don’t have enough spectrum only band 1,3 and slow paced network integration in my circle. I am choosing my network based on spectrum holdings. Same Here. I am having my Primary Number in JIO(JIOFI) . I am going to port my Vodafone number (Secondary) to Airtel. Vodafone Idea has no future in Tamil Nadu / Chennai and Karnataka. BSNL 3G better than Vodafone 4G speed in many places. in these circles. Aur Jio deta hain 4G data 2g ke speed mein. Ha ha ha ha ha ha ha ha ha.